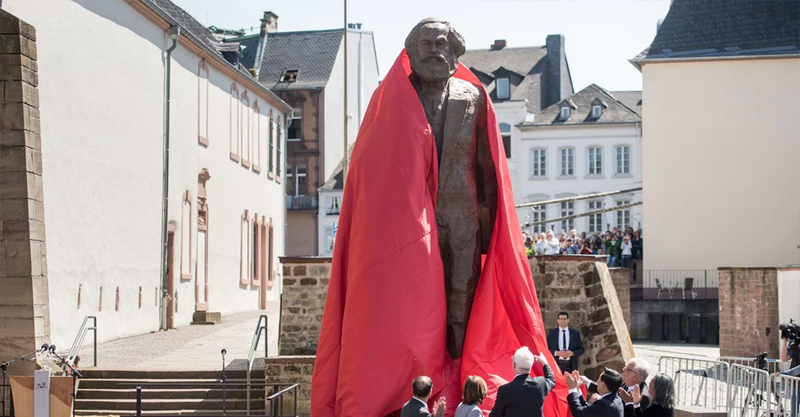 In celebration of the 200th anniversary of philosopher Karl Marx’s birth, a 14-foot statue of the thinker has been unveiled in his home town Trier in western German town. The 5.5-meter-high bronze statue was presented by China, and depicts a middle-aged Marx walking with a book in his left hand. It was mounted in front of a home where the Marx family had once lived. Marx spent the first 17 years of his life in Trier, a small town on the Moselle River in western Germany. The monument was designed by Chinese artist Wu Weishan to mark the monumental occasion celebrating the life and contributions of the thinker, an influence which China’s President Xi Jinping said continues to this day. The city council had voted to accept the gift from the Chinese government by 42 members to seven in March 2017. A delegation from China accompanied around 200 guests at the statue’s unveiling.